The wall chart “Do you know your family planning choices?” offers important points that a client can consider, and a provider can discuss, about many family planning methods. 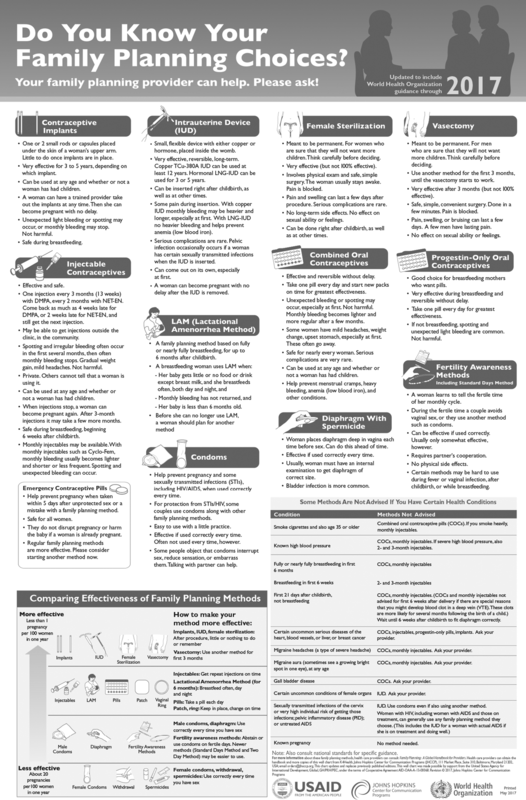 The wall chart includes the effectiveness chart shown on the back cover of this book and a summary of medical eligibility criteria for contraceptive use. Printed copies of the wall chart can be ordered online at: www.fphandbook.org/order-form .